Profile Drilling offer a complete arsenal of drill rigs and tooling for all environmental and geo-technical needs. 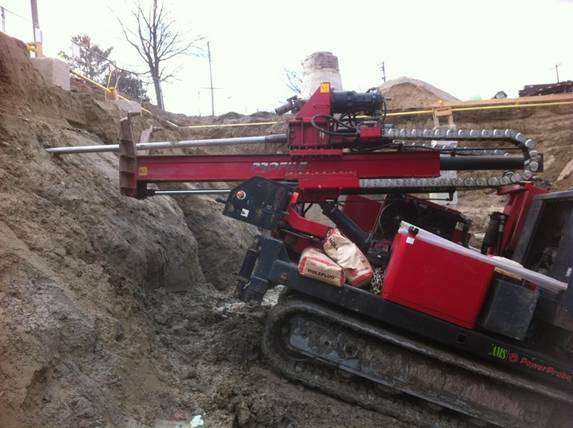 With three rubber-tracked rotary rigs capable of spinning augers up to 15" in diameter, rock and soil coring capabilities in HQ and PQ sizes, and the ability to use air rotary to advance through soft or weathered rock. When strictly environmental work is needed, 6 direct push rigs can efficiently sample overburden utilizing a dual-tube system which keeps the samples completely isolated from cross contamination. The AMS Power Probe direct push rigs also have the power to spin hollow stem augers up to 10" in diameter allowing us to install wells up to 4". Hand held drilling equipment for limited access and interior holes are available as well. 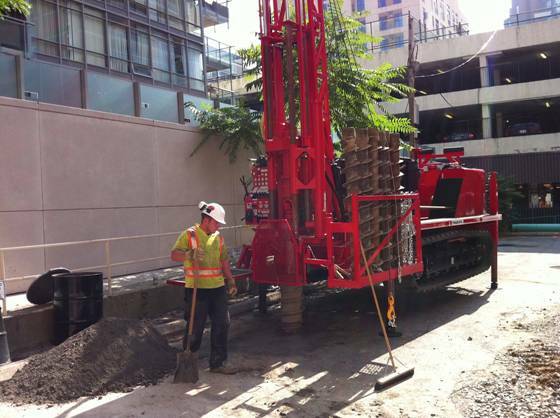 With the use of either electric or gas powered drills and concrete coring capabilities up to 10" in diam.